On September 27, 2012, rare disease patients, advocates, patient organizations, government agencies, pharmaceutical companies, medical researchers, celebrities, Olympic champions and private sector representatives attended the Global Genes|R.A.R.E. Project 1st Annual “RARE Tribute to Champions of Hope” benefit at the Balboa Bay Club & Resort in Newport Beach, CA. The evening was a star-studded affair to raise funds and awareness for rare and genetic diseases that impact 1 in 10 Americans and 350 million people globally. More than 400 guests attended the benefit and a number of awards were presented to celebrate the pioneering achievements of individuals and organizations championing the rare and genetic disease cause. 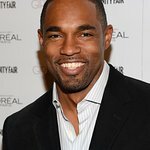 “Grey’s Anatomy” star Jason George, who plays Dr. Ben Warren on the hit show, gave a heartfelt speech about how since he started playing a doctor on TV, his life has been enriched by pediatric cancer patients and their families who have connected with him through his social media platforms and given him the opportunity to make a difference. Actor Nestor Serrano (Act of Valor, The Negotiator, The Insider, Secretariat) publicly saluted his wife Debbie for everything she does to care for their daughter Amelia who suffers from cerebral palsy. Nestor then presented the Rare Champion of Hope Advocacy Award to Pat Furlong, the Founding President and CEO of Parent Project Muscular Dystrophy, an organization dedicated to finding a cure for Duchenne Muscular Dystrophy. Amicus Therapeutics CEO John Crowley showed guests the trailer for the film “Extraordinary Measures” starring Brendan Fraser and Harrison Ford, which is based on his family’s remarkable story fighting Pompe disease. Football legend Paul McDonald had the honor of introducing fellow USC alum, Bill Barkeley, a deaf and blind adventurer, who reminded us that anything is truly possible during his moving acceptance speech for the RARE Patient Advocate of the Year Award. “Jane by Design” star Meagan Tandy spoke of the importance of young Hollywood coming together to help children in need and then introduced singer/songwriter Gracie Van Brunt, a young girl battling a rare genetic disease called Shwachman-Diamond Syndrome. Gracie took the stage and sang a powerful ballad she wrote about her own personal experiences as a rare disease patient. Gracie was joined for a soulful duet of Stevie Wonder’s hit “Superstition” with recording artist and “American Idol” Season 5 finalist Elliott Yamin. Elliott and Gracie’s voices blended perfectly together as they had the crowd grooving along to this R&B classic. Emmy award winning producer Rudy Poe treated guests to a sneak preview of his new rare disease documentary, “Here. Us. Now. — A Family’s Fight to Bring Medical Innovation Home.” The film chronicles the story of how Hugh and Chris Hempel, parents with no medical backgrounds, use their entrepreneurial skills to find a breakthrough drug treatment for their identical twin daughters who are dying from a rare progressive neurological disease called Niemann Pick Type C.
Global Genes | RARE Project is the leading non-profit organization advocating for the roughly 30 million Americans and approximately 350 million people worldwide who are affected by rare and genetic diseases and disorders. The non-profit organization promotes the needs of the rare and genetic disease community under a unifying symbol of hope – the Blue Denim Genes Ribbon. In the United States, a disease is considered rare if it affects fewer than 200,000 Americans per disease. According to the National Institutes of Health (NIH), there are nearly 7,000 such rare diseases and an estimated 95% do not have a single approved drug treatment.